Hiro (Kyoto, Japan) on 28 April 2009 in Plant & Nature. Incredible work. What colors!!! Simply superb. @Ravi: Thanks Ravi. Green was decreased to make blue stand up. Beautiful color. The blue sky is very nice. @Ernest: Thanks Ernest. Sky has ordinary blue color in the original picture. 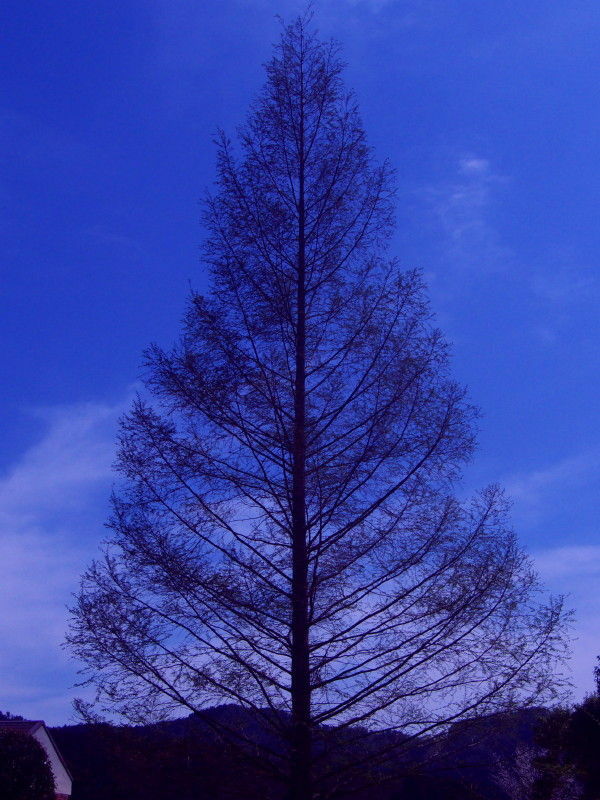 The color of the tree was also changed by dedreasing green. Cool shot! The blue is haunting. Thank you. Your pinhole one is nice, too. @Eleftheria: Hi, Eleftheria, thank you for visiting. I saw you riding on your self portrait and other photos. You are so young as my son, but you shot many great photos ! And your dad, he's a great photographer ! Is he professional? Anyway, I'm glad you like this picture. Amazing photo and of course you did a fantastic work capturing this great blue of the sky!! @dkc: Thanks dkc. Glad you like it. @StarCosmosBleu: Thank you for your visiting.